The fight for $15 is taking on another hit this week. 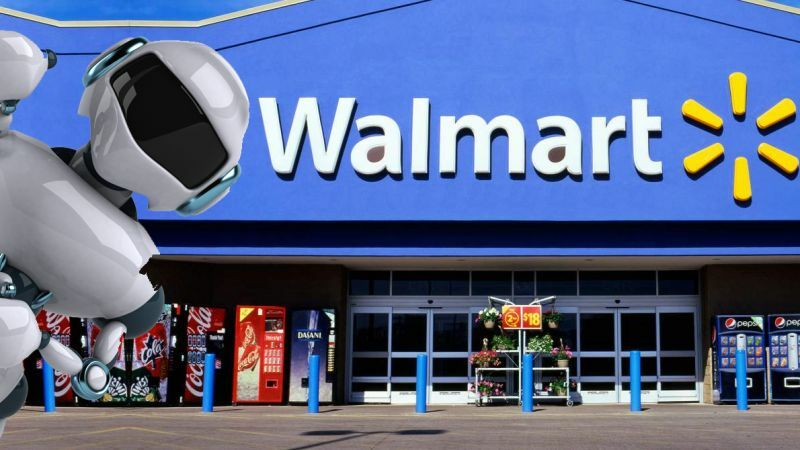 Walmart has announced that it’s going to expand its robot program. For the past several years, the mega retailer has quietly been testing a handful of robots. According to Walmart, these autonomous machines do the dirty work. It allows associates to focus on helping customers while the machines do inventory and clean. At least, that’s the company’s official position. Now they want to purchase 3,900 more robots. Walmart Associates certainly have a lot to fear. While the company says there is nothing to fear, just ask McDonalds employees. Ask baggers and cashiers across the country. Machines and robots are replacing low-wage jobs everywhere. “Every hero needs a sidekick, and some of the best have been automated,” Elizabeth Walker of Walmart Corporate Affairs said in a press release. Still, Walmart has been testing new technology for the past few years. They have found that automated smart assistants make running their stores smoother. It relies less on human power and workers can spend less time cleaning. These days, robots are able to do almost everything a human worker can. They can help unload trucks, stock shelves, clean, and perform self-checkout. There’s almost no doubt that soon there will be a robot at the door to welcome shoppers. They may completely replace human associates in the future. Still, Walmart says their workers love getting help doing the mundane jobs. “Our associates immediately understood the opportunity for the new technology to free them up from focusing on tasks that are repeatable, predictable and manual,” John Crecelius, senior vice president of Central Operations for Walmart U.S. said in a statement. Therefore, many feel this is a direct result of the pressure for companies like Walmart to pay their employees $15. Many low wage workers have been protesting to get the minimum wage raised to what they feel is more livable. Rather than pay their 2.2 million employees $15, it’s more cost-effective to replace them. Another factor for Walmart is they’re finding it difficult to attract workers. With the country’s lowest unemployment numbers in 50 years, people are finding work. Jobs like Walmart Associate were certainly more popular when the economy was chugging. Now that more people have better paying jobs, Walmart is struggling. This is leading towards Walmart having a record number of job openings in the company’s history. Raising the minimum wage would certainly help bring in talent. Yet, the long-term solution is going to be robots. We see it taking shape across the country.